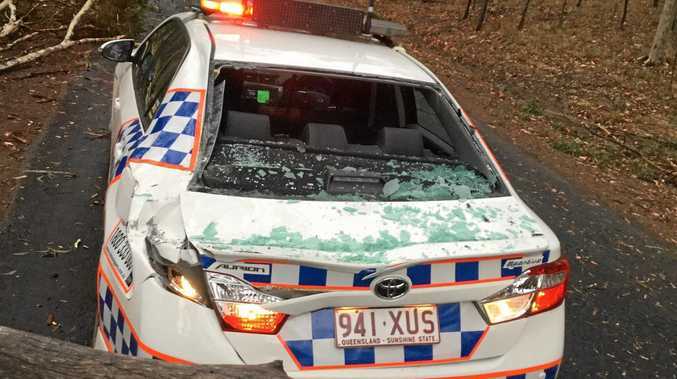 IT WAS a lucky escape for two police officers after a tree came crashing down on-top of their police car. 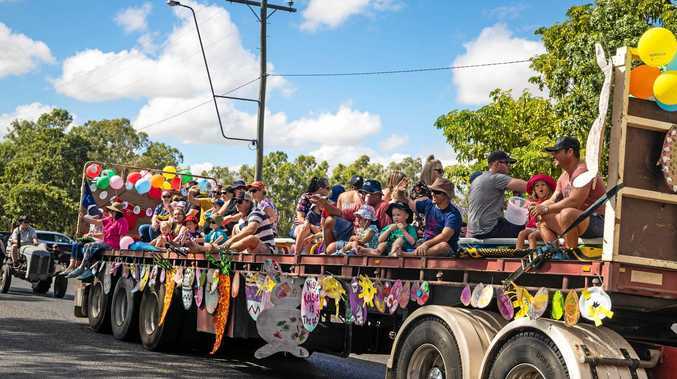 Marburg police officer-in-charge sergeant Anthony Bradbury and his partner were answering a call out to Grandchester last Friday when the accident occurred. They were responding to reports of trees blocking Grandchester Mount Mort Rd, after a storm passed through the area. The pair exited their vehicle to inspect the fallen trees and it was at that moment a 20m tall tree gave way and fell onto their car. Sgt Bradbury said they were both stunned by the sudden turn of events. "It was calm at the time, there was no rain - the storm had passed quite a substantial amount of time prior," Sgt Bradbury said. "We were thankful that we were in front of the vehicle getting trees off the road rather than near the back of the vehicle." He said both officers realised how lucky they were, and said the incident was an important reminder to stay safe during this storm season. "Just keep an eye out and be mindful that even if the storm has passed, the danger may not have." While the damaged police car has been sent for repairs, it's business as usual for the Marburg station, with a back-up car brought in the keep the officers on the roads.